Since 1906, LALLIER is a craft manufacture of prestigious crus de Champagne. 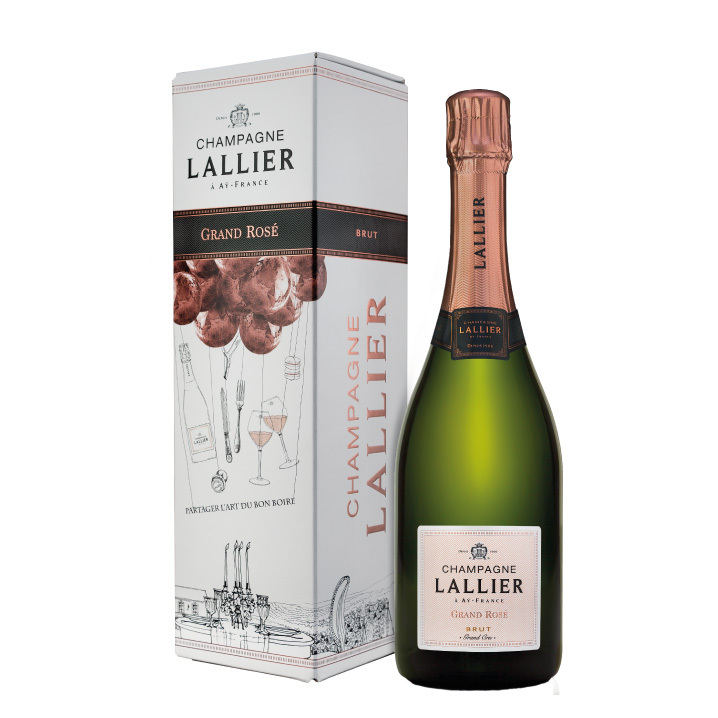 The GRAND ROSÉ of LALLIER exclusively comes from Grand Cru parcels and are selected for their low yield at the harvest period : old vines and green harvest allow to ensure fully matured harvests. In order to get this pale and delicate colour, our GRAND ROSÉ is crafted as a « millefeuille », alterning layers of Grands Crus chardonnay and pinot noir comacerated in the tank. Pinots noirs and chardonnays both macerate at a hot temperature in order to get an optimal extraction of the colour without extracting tanins. In the spring, blending brings final touches to the wine before the so called « prise de mousse » and ageing on lees for at least 3 years in our cellars. Its pale pink colour wheedles our senses. With its enchanting aromas of wild strawberry and raspberry, spiced up with citrus notes, are a delight for our nose. The lead is clear and precise; its freshness then mingles with sensual and gourmet notes of wild strawberry. 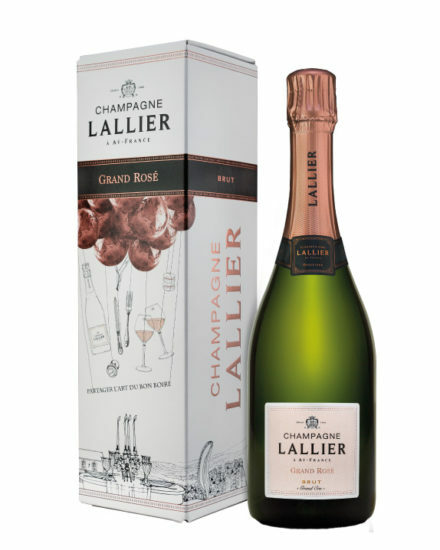 For its visual asset, its purity and its freshness, the LALLIER Grand Rosé is the ideal companion for the aperitif. With great finesse, it is also most enjoyable with crustaceans (lobster) or at the dessert served with a red berries charlotte.